Brahms and the Scherzo: Studies in Musical Narrative. An in-depth study of Brahms’s thirty-five scherzo-type movements that also contributes to an understanding of Brahms’s compositional language and his creative dialogue with musical traditions. The book especially highlights rhythmic-metric features of Brahms’s music and their relationship to expressive meaning; Articles on aspects of musical rhythm in journals including Music Theory Spectrum, Journal of Music Theory Pedagogy, and Intégral; Essays on large-scale thematic process in Brahms’s instrumental music published in Music Analysis and Expressive Intersections in Brahms: Essays in Analysis and Meaning; Articles on analysis and performance in Theory and Practice and Dutch Journal of Music Theory. “Performing Metric Dissonance in the Music of Johannes Brahms”: A research project supported by a Social Sciences and Humanities Research Council of Canada (SSHRC) insight grant (2013–16). This study investigates the interpretive treatment of metric dissonance in recorded performances of Brahms’s instrumental music; “Brahms and the Half-Diminished Seventh Chord”: A study of Brahms’s usage of this chord throughout his career and its implications for musical structure and expression; “The Scherzo in the Nineteenth Century”: A book on rhythmic, tonal, and formal processes in the scherzos of Beethoven, Schubert, Mendelssohn, Schumann, Brahms, Dvořák, Bruckner, and Mahler. Ryan McClelland is Professor of Music Theory at the University of Toronto. His research interests include rhythmic-metric theory, Schenkerian analysis, and performance studies. He has published on these subjects in leading journals and in essay collections devoted to Brahms and to Schubert. Professor McClelland has read papers at meetings of the Society for Music Theory, Music Theory Society of New York State, Music Theory Midwest, Canadian University Music Society, and College Music Society, and he has twice been invited to present at the International Schenker Symposium. He serves as president of the American Brahms Society. Professor McClelland’s first book, Brahms and the Scherzo, was published in 2010 (Ashgate). This project was supported by a standard research grant from the Social Sciences and Humanities Research Council of Canada (SSHRC). With Professor emeritus David Beach, he co-authored a textbook, Analysis of 18th- and 19th-Century Musical Works in the Classical Tradition, which appeared in 2012 (Routledge). 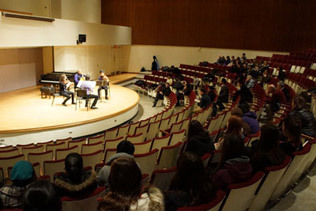 Professor McClelland offers several graduate and undergraduate electives, including Seminar in Schenkerian Analysis, Theories of Rhythm and Metre, Brahms: Symphonies and Chamber Music, Schumann: Instrumental Music, and The String Quartet in the Twentieth Century. He also teaches a graduate course on analysis-performance relationships in addition to core undergraduate theory courses. 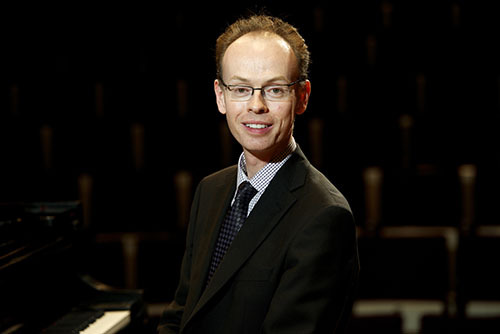 A prizewinner in the Eckhardt-Gramatté National Music Competition, Professor McClelland has performed as pianist in numerous premieres. Prior to joining the University of Toronto in 2004, he served for two years as Visiting Lecturer at Indiana University.